There are two townlands in Northern Ireland called Ballyoran. Today’s blogpost comes from the one in County Down, on the eastern edge of Belfast at Dundonald. 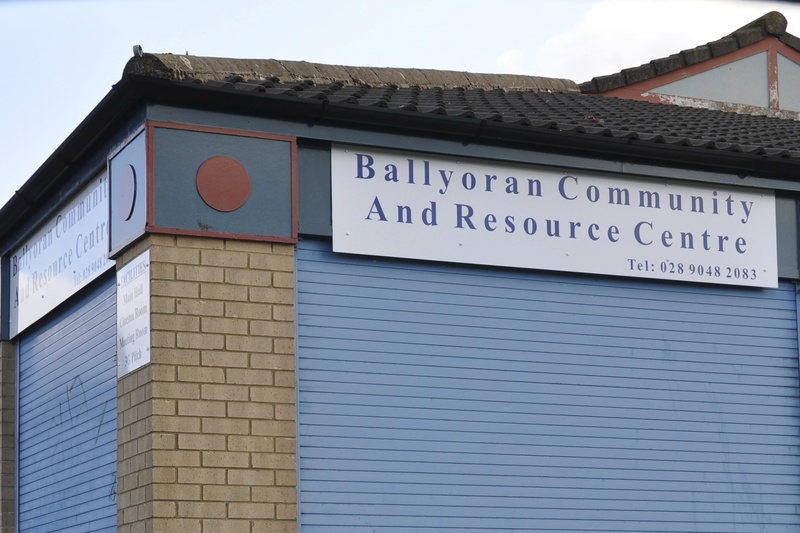 According to the PLACENAMESNI website, the name Ballyoran comes from the Irish Baile Fhuaráin meaning “townland of the well or spring”. 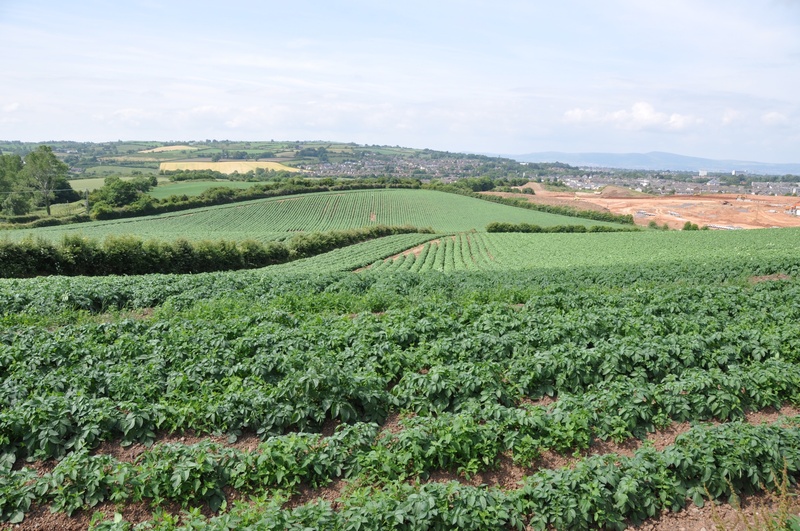 Ballyoran’s farmland is good for growing potatoes. Since that photo was taken in 2010, houses have been built on the area of cleared earth in the top right-hand corner. 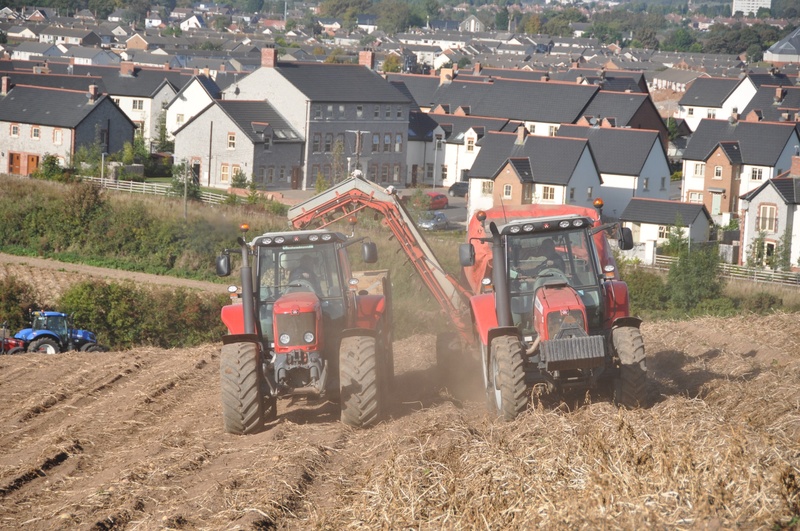 The next picture shows the new homes and the 2014 potato harvest. 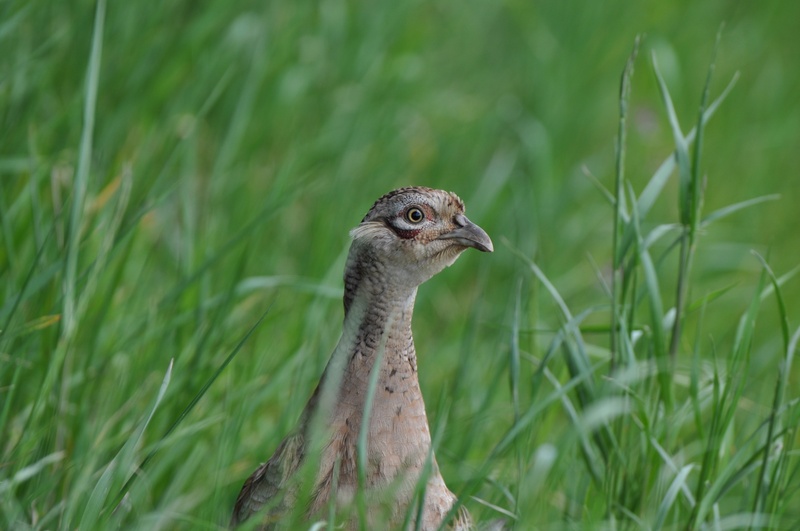 Despite the increased number of human inhabitants, Ballyoran still has room for wild pheasants. 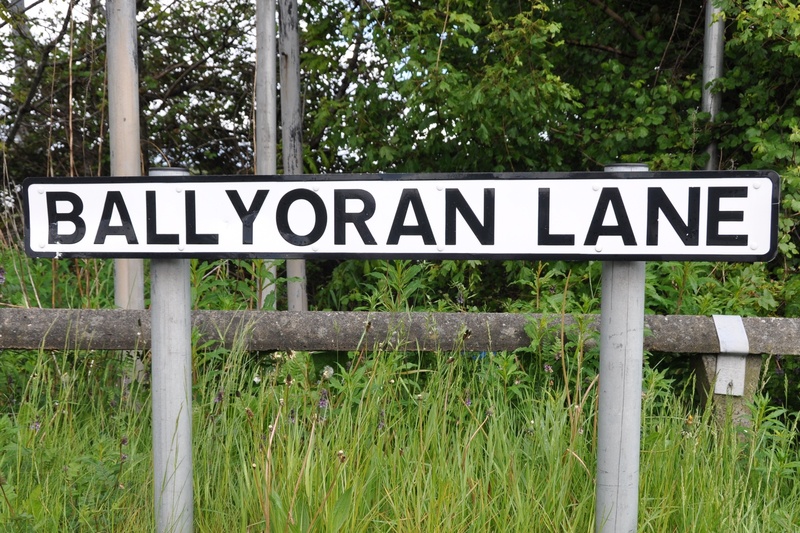 It was hard to find signs for Ballyoran. Local children once attended Ballyoran Primary School, but in 1985 that school merged with another to form Brooklands Primary School. I had to stray over the boundary with Carrowreagh townland to snap a street and community centre. Finally, I must show you my personal connection to the townland. This photo shows part of the census form completed by my family in 1911. 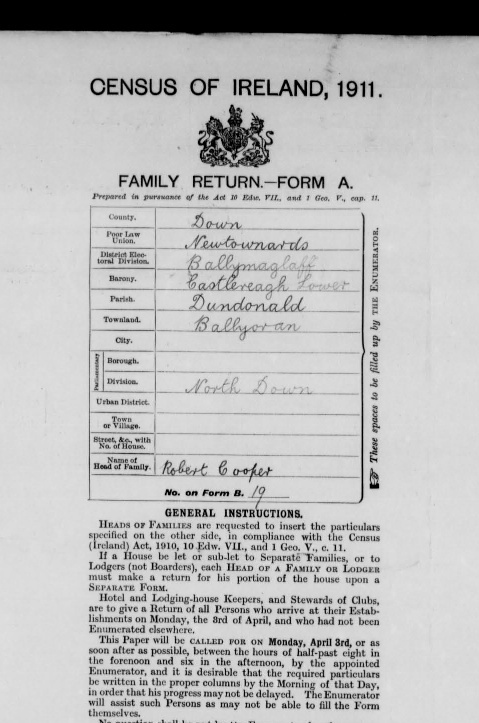 The “head of family” was my paternal great-grandfather, Robert Cooper. 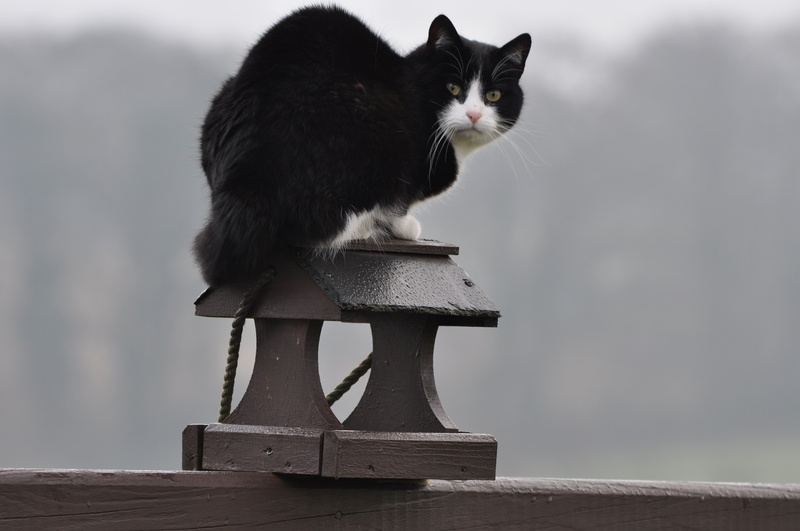 Today the head of the family is, of course, Bono the cat. Click here for a link to a 19th century map of Ballyoran on the website of Ordnance Survey Ireland. 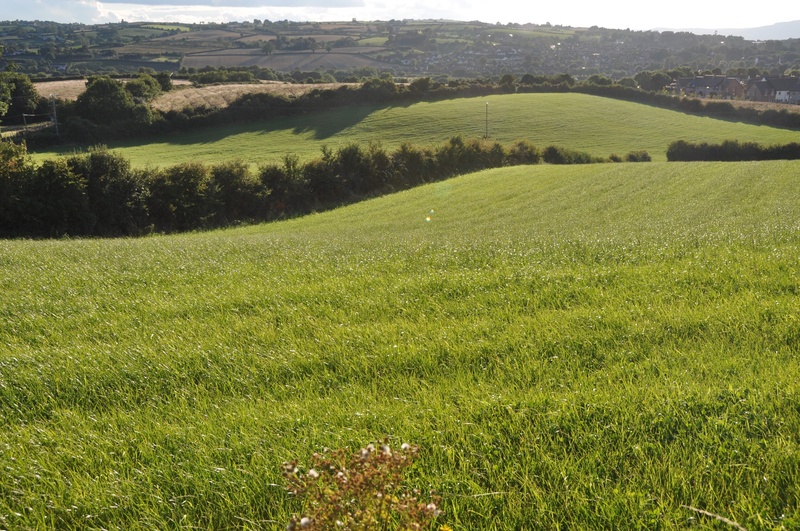 Which townlands border Ballyoran? To the north and west, Carrowreagh. To the east, Greengraves. To the south, Ballylisbredan.